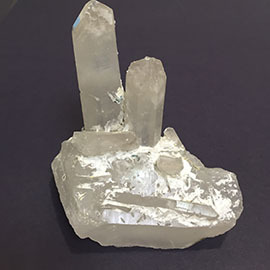 Prana Crystals feels pride in presenting you with this Abundance Crystal from a very select grade of Himalayan Crystal cluster that have been found to occur in India. 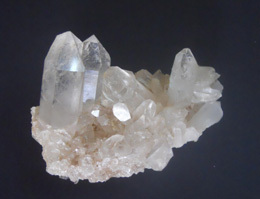 Prana Crystals feels pride in presenting you with this Abundance Crystal from a very select grades of Himalayan Crystal cluster that have been found to occur in India. Primarily the crystal pencils are in transparent clear, colorless forms. 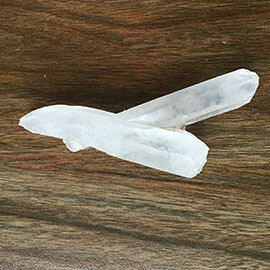 This Abundance Crystal belongs to a very small and very rare family of crystal. This Abundance Crystal has a faded orange base color, the combination of this orange base and colorless crystal pencil looks fantastic. 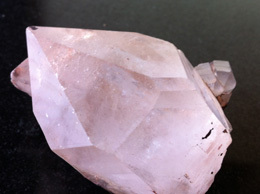 This abundance crystal is a treasure you would want to cherish. 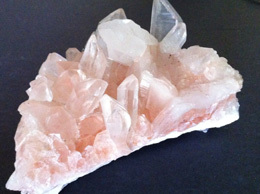 Quartz Crystal cluster. Weight approximate 121 Grams. This is a rare abundance Crystal with small crystal family along with it.The Specimen is Intact. 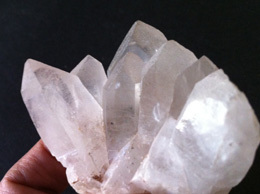 The size of the Abundance crystal is approximate 5 cm in length and with good transparency. This Abundance Crystal will allow you to be free from too any external influences including fear, and assists one in making decisions. 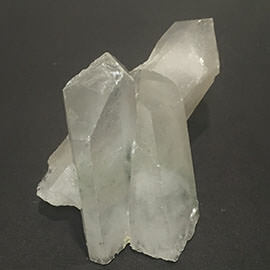 This Abundance Crystal helps to identify ones owns flaws and gives a clear picture of the changes, which are necessary to eliminate these flaws. 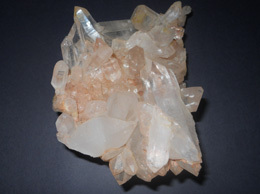 This Abundance Crystal is also used to attract new job and money and greater wealth. I would like to thank you for shipping my order so quickly and I must say I was very impressed with the neat and careful packaging as everything arrived in perfect condition. I will surely be ordering from you again. Thank you.